Football is the world’s most popular sport, played on all continents, by girls and boys and women and men of all ages. For many, it is an invaluable outlet for expression, for joining together with others and for collectively enjoying the outdoors. Even in the world’s most repressive countries, football is a thriving sport. 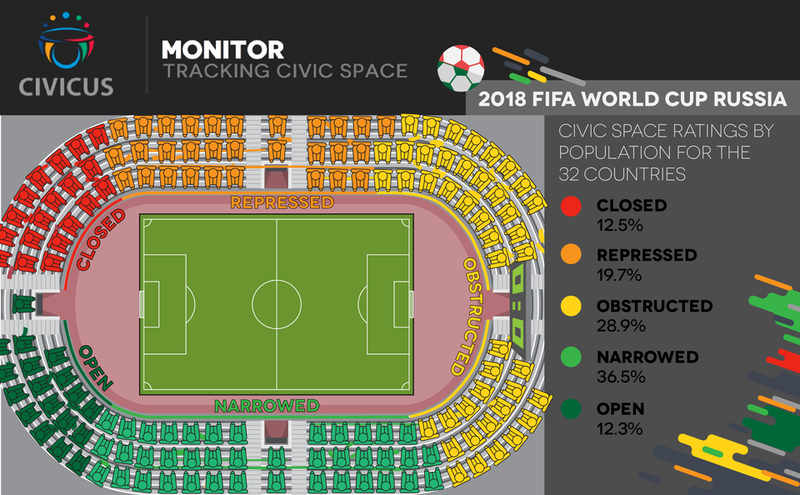 However, for people who also want to express themselves, assemble and associate in other ways, or promote causes or ideas with which the authorities in their country disagree, the world is not such a welcoming place.These graphics show how teams competing at the FIFA World Cup in Russia fare when assessed on their respect for the freedoms of association, peaceful assembly and expression. On this evidence, minnows Iceland come out on top, while favorites Brazil languish near the bottom. 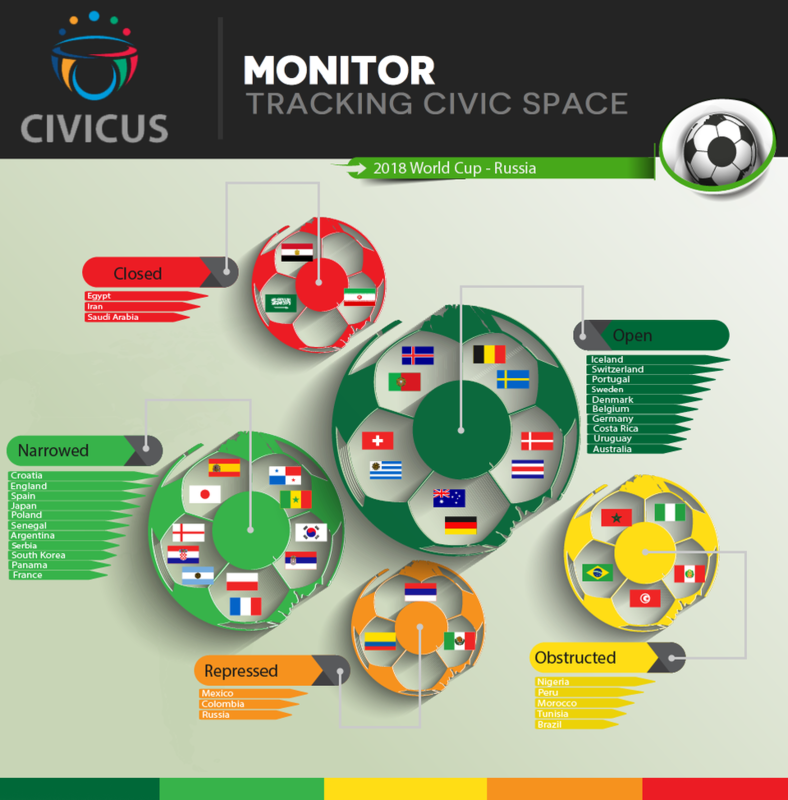 The graph below also shows that there are several countries - including Russia, Egypt, Iran and Saudi Arabi - which implement widespread or systematic repression of their citizens are taking part in this year's tournament.